Four studies apply self-determination theory (SDT; Ryan & Deci, 2000) in investigating motivation for computer game play, and the effects of game play on well-being. Studies 1–3 examine individuals playing 1, 2 and 4 games, respectively and show that perceived in-game autonomy and competence are associated with game enjoyment, preferences, and changes in well-being pre- to post-play. Competence and autonomy perceptions are also related to the intuitive nature of game controls, and the sense of presence or immersion in participants’ game play experiences. Study 4 surveys an on-line community with experience in multi-player games. Results show that SDT’s theorized needs for autonomy, competence, and relatedness independently predict enjoyment and future game play. 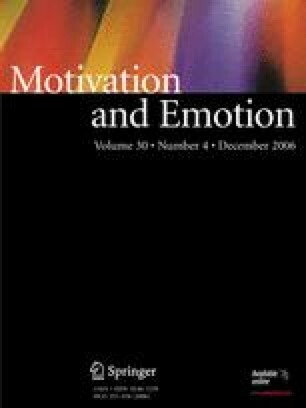 The SDT model is also compared with Yee’s (2005) motivation taxonomy of game play motivations. Results are discussed in terms of the relatively unexplored landscape of human motivation within virtual worlds.